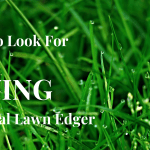 Weed Eater Guides is a participant in the Amazon Services LLC Associates Program, an affiliate advertising program designed to provide a means for us to earn fees by linking to Amazon.com and affiliated sites. We also participate in other affiliate programs (such as WalMart and Home Depot) where we earn a fee when you purchase a product through our links. Your cost does not increase by using our links. Amazon and the Amazon logo are trademarks of Amazon.com, Inc. or its affiliates. Walmart and the Walmart logo are trademarks of Walmart, Inc. or its affiliates. Home Depot and the Home Depot logo are trademarks of Home Depot, Inc. or its affiliates.